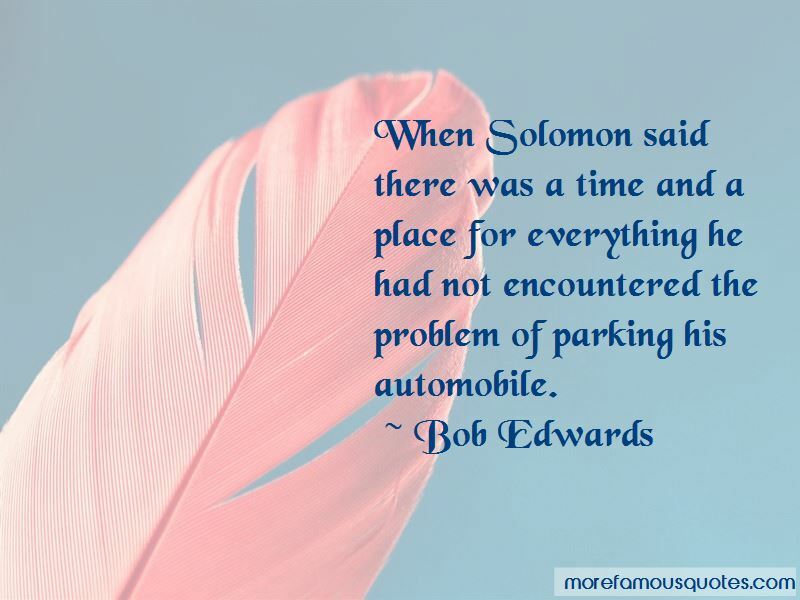 Enjoy the top 33 famous quotes, sayings and quotations by Bob Edwards. Nobody cares about your wardrobe, what your tie looks like, or even if you're wearing one, and I don't. I was encouraged to read aloud in class and vocalize. If you want anything done well, do it yourself. This is why most people laugh at their own jokes. I think we're doing the right things for the right reasons. We're not doing it to sell products. We're not doing it to be popular. We're doing it because in our judgment these stories are important to do, and at this length and this much depth. It's also a more personal medium. 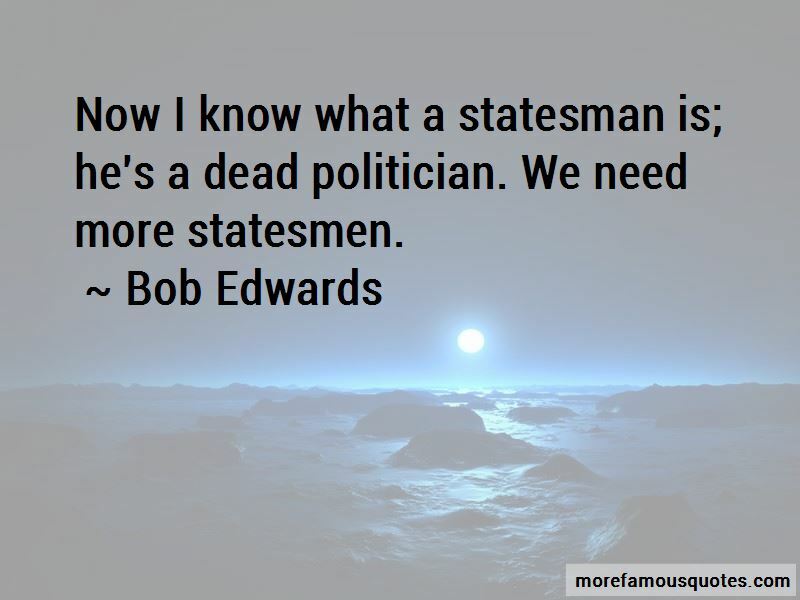 It seems to go directly to one's brain. There are no pictures to distract. 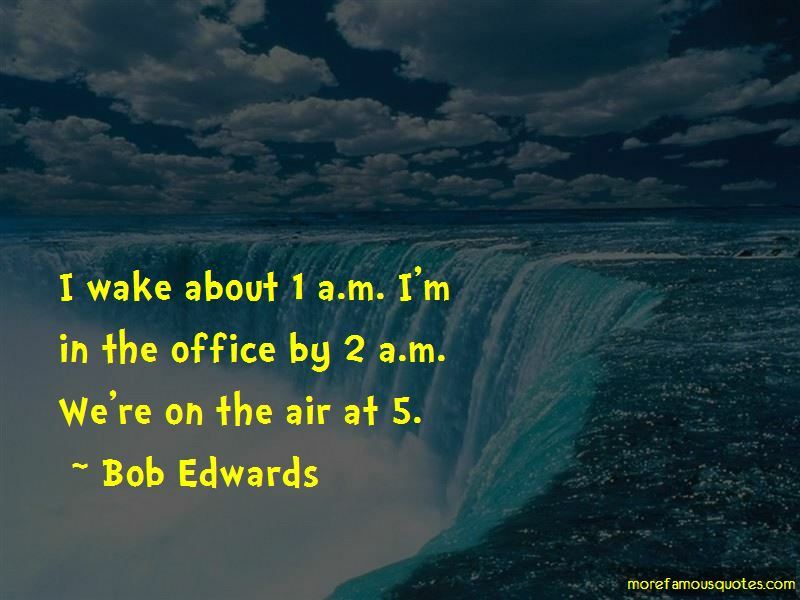 Want to see more pictures of Bob Edwards quotes? 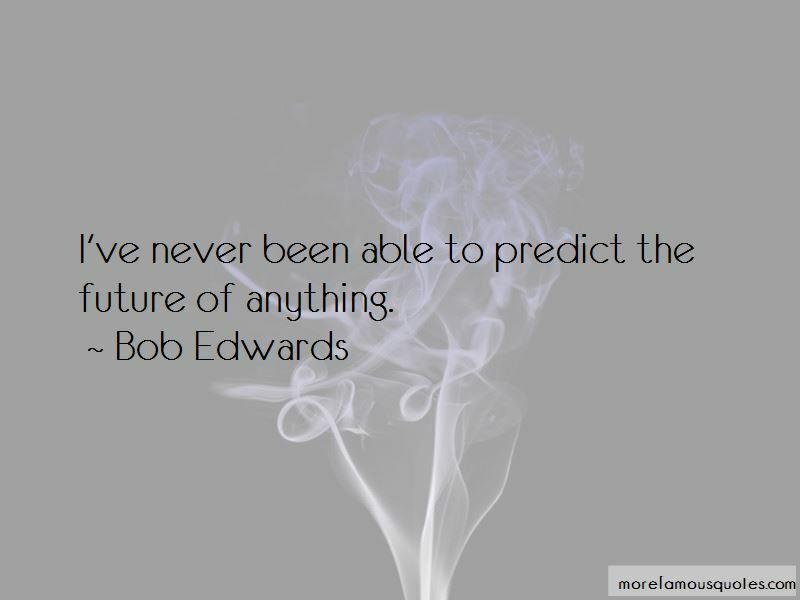 Click on image of Bob Edwards quotes to view full size.